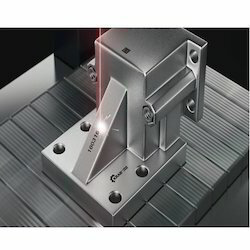 Leading Manufacturer of portable dot peen marking machine, pneumatic dot peen marking machine, electromagnetic dot peen marking machine, height adjustments dot peen marking machine, portable deep marking machines and deep marking machine from Pune. Marking Options Fixed/Variable Head, Dates, Counters, 2D Datamatrix Code, Logos, etc. Portable Dot Peen Marking Machine providing permanent identification and traceability and offers speed and handling ability for the permanent identification of all your parts. 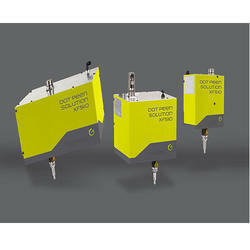 It is the ideal tool for marking heavy or large parts that are difficult to access. 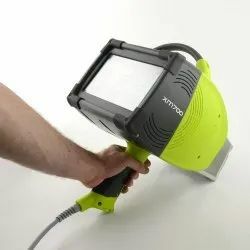 Designed for industrial marking, the dot-peen solution has ergonomically curved handles, a bright LED light, as well as a trigger for the precise marking of your parts. 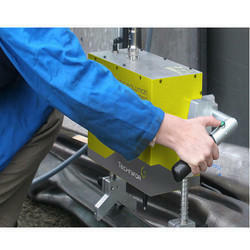 Pneumatic Dot Peen Marking Machine offer permanent marking with no stress on your parts. Designed to fit into the smallest spaces, they are ideally integrated into production lines where space and accessibility are a concern. Marking Options Fixed/Variable Head; Dates; Counters; 2D DataMatrix ECC200 code; Logos, etc. 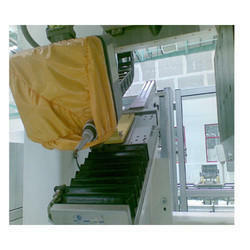 Electromagnetic Dot Peen Marking Machine achieve the exact result required on all materials. The position and force of each impact are fully controlled. 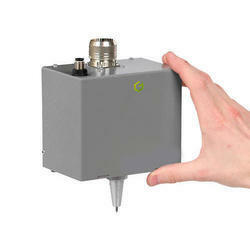 This range is particularly adapted to the marking of 2D codes (Datamatrix, ECC200, UID, etc). Simple, reliable and economical accessory. Adjustment using a threaded rod with a round handle. A configuration of the advance distance in steps of 10 mm (up to 50 mm). 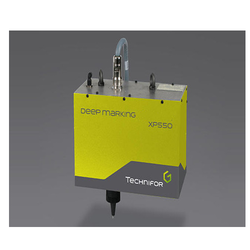 Managed directly by the marking machine, it operates independently and allows an automatic search for the surface being marked (probing feature). Durable marking: not changed by finishing operations, paining, climatic conditions, contaminants, etc. Versatile: a large marking area, adjustable handles, feet and screws, it can adapt to your needs. - Ergonomic, work can take place either horizontally or vertically Easily permanently identify all large or difficult to access products and equipment in any environment: workshop, dusty environment, external site, etc. 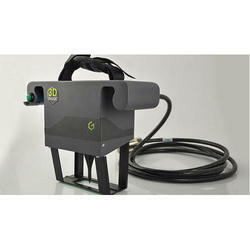 Looking for Dot Peen Marking Machine ?